We have three dogs and feeding time can be a bit hectic. Everyone is concerned with what is in the other dog’s bowl. Since they stagger in ages, there was a period of time where all three were on different formulas. Over time, we have learned a few tips to make feeding time a bit less dramatic. If you are a regular reader, you probably know that we have three dogs. Hilo is a big, white, German Shepherd. The Grump is a Boston Terrier/Pug mix, and Franklin is a Boston Terrier/Beagle mix. The two little guys are now on the same food formula. Hilo is older and larger, so he eats something different. Hilo is totally fine sticking to his own bowl. He just wants to eat his meal in peace. The two little guys will not allow that. They are both all up in Hilo’s food only because it smells different than theirs. Franklin even requires a special bowl to slow him down because he eats like such a spaz. Assign corners – Feed your dogs in different corners. Try to face them away from each other so they can focus on their own bowls. Keep watch – Stay in the room while the dogs are eating to moderate the situation. I assume most dogs are like mine in that they eat pretty darn fast. Stand there for the few minutes it takes them to eat to make sure everyone behaves. Get a spray bottle – For a short time, our two smaller guys would get into fights over food, which would scare the heck out of me. I would be so afraid that one of them would hurt each other. You should never stick your hand in between fighting dogs, so grab a spray bottle with water. It’s usually enough to simply and safely diffuse the situation. Positive reinforcement – As with most training methods, “good boys” and lots of praise and loving goes a long way. Add New Alpo Meal Helpers – This is an awesome new way to not only seriously treat our dogs, but it helps to make all the food smell similar enough for them to leave each other alone. They are so focused on diving into their own delicious food, that they have tunnel vision. 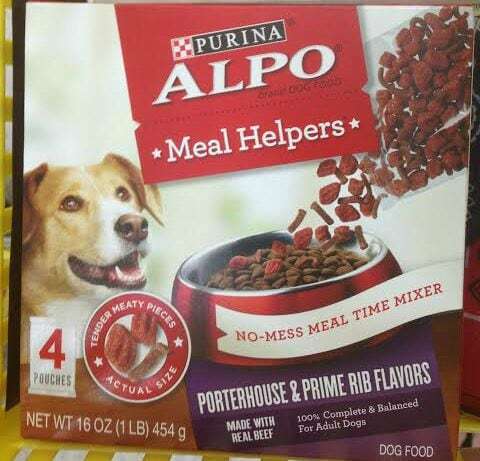 New Alpo Meal Helpers are available at Dollar General. Alpo Meal Helpers is an easy way to add flavor and excitement to your dog’s dry food. It comes in convenient packages for less mess and easy use. You just mix the package in with your dogs food. They are thrilled, and you don’t have to mess around with wet food. Each serving comes in a 4oz box, and there are 4 to a box. Help Purina spread the word about their new Dollar General Alpo Products. Share a photo of your dog eating it using the hashtag #AlpoMealHelpers. The photo with the most shares will win an Alpo prize pack containing a coupon for a free Alpo Meal Helper, Alpo biscuits, and a $100 Dollar General gift card. Do you have any dog feeding time tips? Oh now that’s funny. I hope mine doesn’t figure that trick out!!! No dogs, but I dog sit quite a bit. I just can’t believe how fast a dog can eat a whole bowl of food. My dog would eat anything any time LOL. We feed him twice a day, though. It works for him. These are great tips. 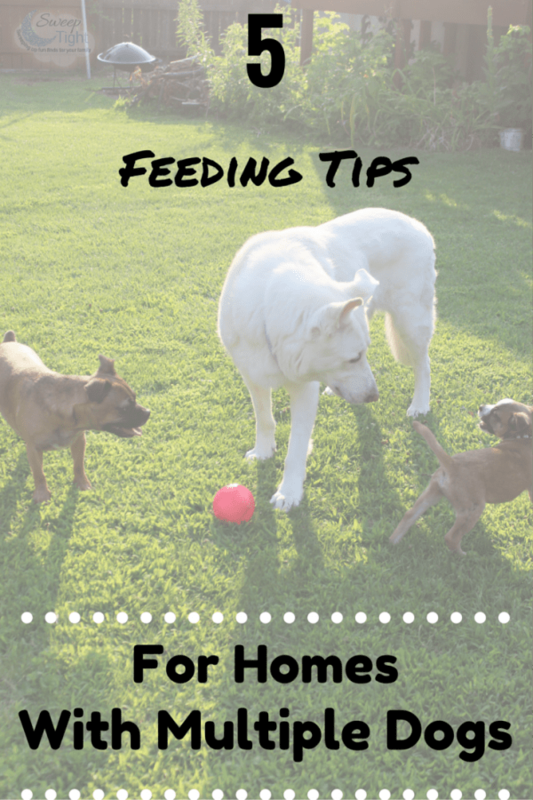 Feeding multiple dogs can be difficult, especially if they guard their food. Oh great tips! We just have one dog at the time but hopefully within the next year we will have another in our house! I love that you have such a brood of fur babies. They are all so cute too and look like they love to eat. These meal helpers look just like the Moist and Meaty we like to treat our dog with. We don’t feed our pup wet food so having somethign special like this is a nice way to spoil her now and then. We used to have two dogs. One for the two dogs was food aggressive, we always watched while she ate to make sure she was behaving! Good tips here! Great tips here for feeding frenzy time! I have 2 little Dachshunds and they don’t typically fight over feeding time but they have some weird little quirks. One the wont eat where there bowl is, the take a bite and go elsewhere to sit on a rug or the couch, and come back each time for a bit. Secondly if their bowl is empty they will flip/bang against the wall to let you know lol. I don’t have any tips, but I love all of your great tips. We don’t have any dogs, but we do have two cats. I know how hard it can be with multiple animals in the house. I do love the Purina brand though. These are great tips. I hadn’t thought about the spray bottle trick. That’s such a fantastic idea. This would be a great blog post for my daughter, who has multiple dogs. I know she used the spray bottle tip on hers. I used to have to watch my Dog with the cats food. He loved to empty there bowls. These are great tips. I have two small dogs that used to fight over food. Now we can leave the food out and they just eat when they are hungry and ignore each other. This makes a lot of sense. Those meal helpers would make a great addition to their regular meals! These are great tips! I will have to look into those Meal Helpers for my dog! It sounds like a great product. 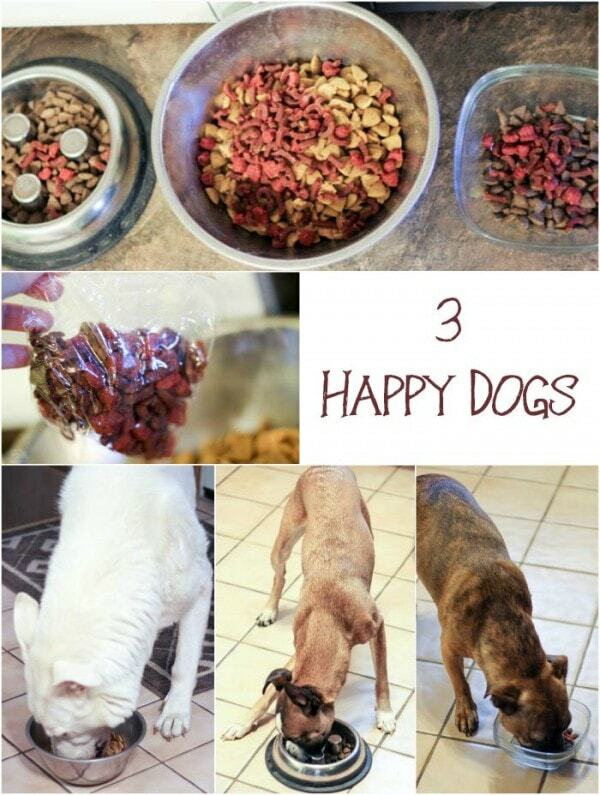 I dont have any pets but these are great tips. thanks for the share. I would love to have more then one dog. Maybe one day. So far we just have one. Yes, it can a challenge to make sure that each dog stays in their own dish. I used to have 3 dogs, and they did pretty good, but the water bottle idea is such a good one to keep them in their place!